Sunburn is not pleasant at all, especially for children, their skin is far more sensitive than an adult’s and the unrelenting sun will think nothing about scorching your little one’s body if you aren’t careful. Sunburn can easily cause blister and severe burns in children which, above being uncomfortable and painful, can pose a serious health risk to your child. If your child gets sunburnt whilst on holiday then this can have an negative impact on everyone’s time away, none more so than your child and you should avoid this at all costs. With careful planning and and organized approach however, you can easily protect your child from the elements to ensure that everyone has a good time in the sun. It goes without saying that you should be using sun block on your child before they head out in the sun but I want to talk a little about how best to use it when it comes to children. Ensure that you are using a very high factor sunblock, somewhere around the 50 mark would be perfect, remember that your child has no intention of topping up their tan, this is about protecting them from the damaging UV rays of the sun. Apply the sun block 15-30 minutes BEFORE your child heads outside, this will help the sun block to absorb into the skin and offer the strongest protection. Even if a particular brand of sunblock claims to be waterproof, don’t trust it and ensure that you top up your child with suncream as soon as they have left the water. You should also be applying more sunblock at hourly intervals. Your child is unlikely to feel very comfortable being fully covered up to protect them from the sunlight so you should try and dress them in lightweight clothing which covers their skin. The head is where your child will feel the heat most so consider a wide-brimmed hat to protect them. You may think that seating your child under an umbrella all day is the best course of action but it is important to remember that the sun reflects off the sea and the sand as well as other surfaces. That is not to say that an umbrella is a bad idea, it isn’t, you should just be mindful that it is not offering 100% protection. In reality you will be best off keeping your child out of the sunshine during the peak hours of heat in the middle of the day if you want to best protect them. In order to help you stay on top of your child’s protection from the sun, you should set alarms on your phone or watch for when you need to top up their sunblock. 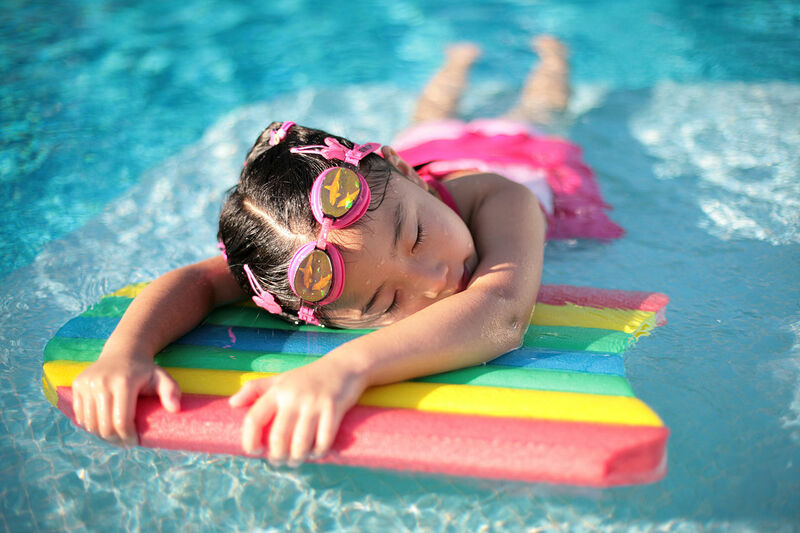 If you are on holiday then the time can get away from you very easily, setting alarms can help you to make sure that your child is constantly protected from the sun.